Saturday, November 3rd, 2018 at 7 PM. 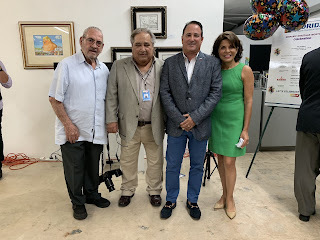 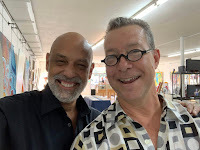 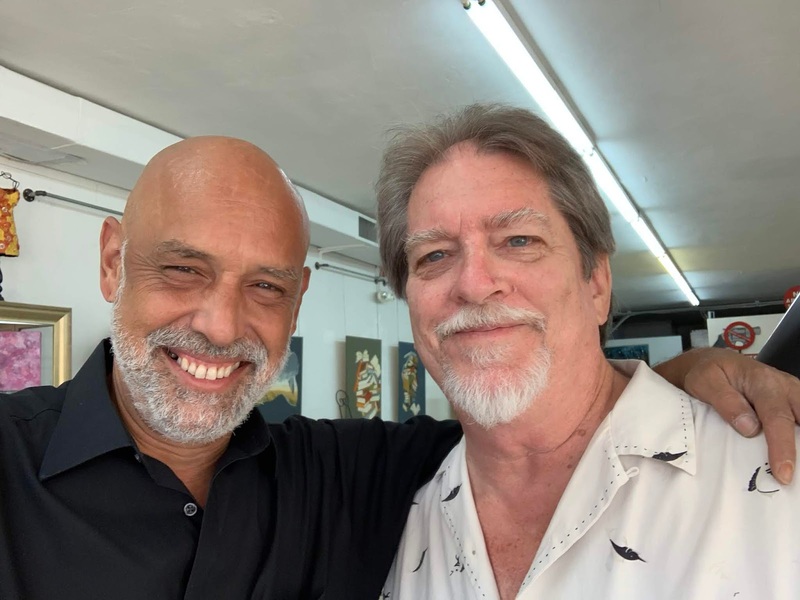 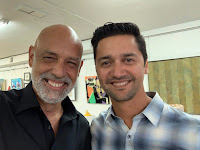 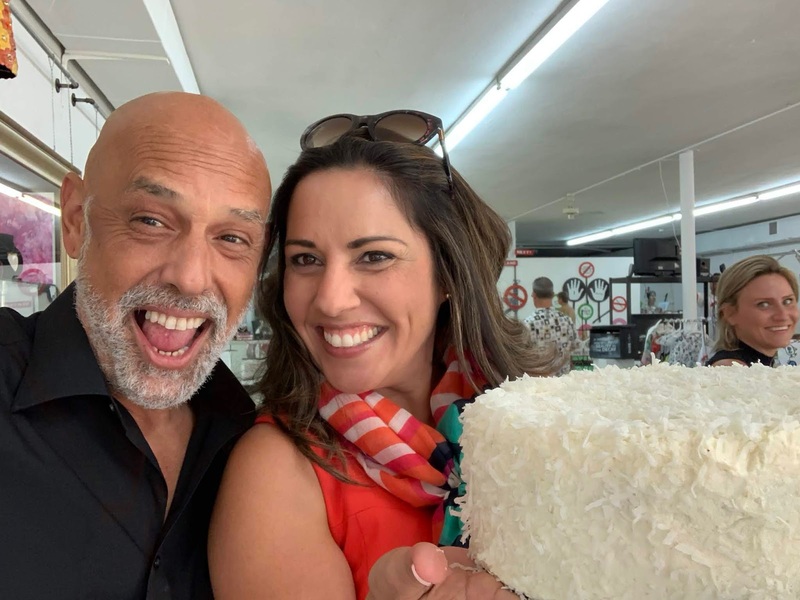 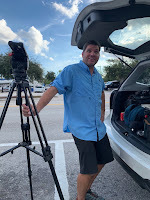 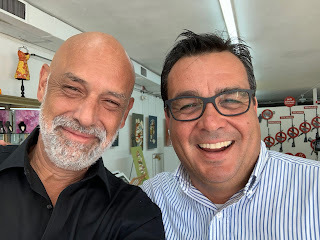 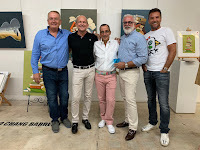 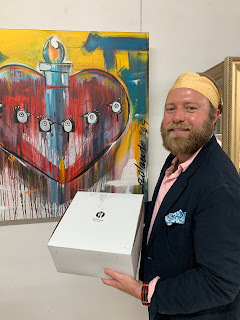 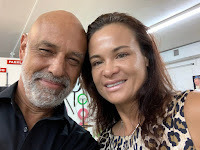 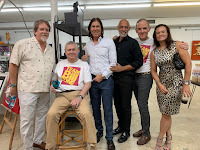 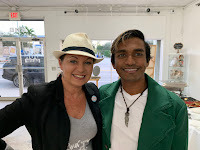 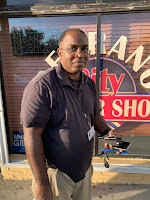 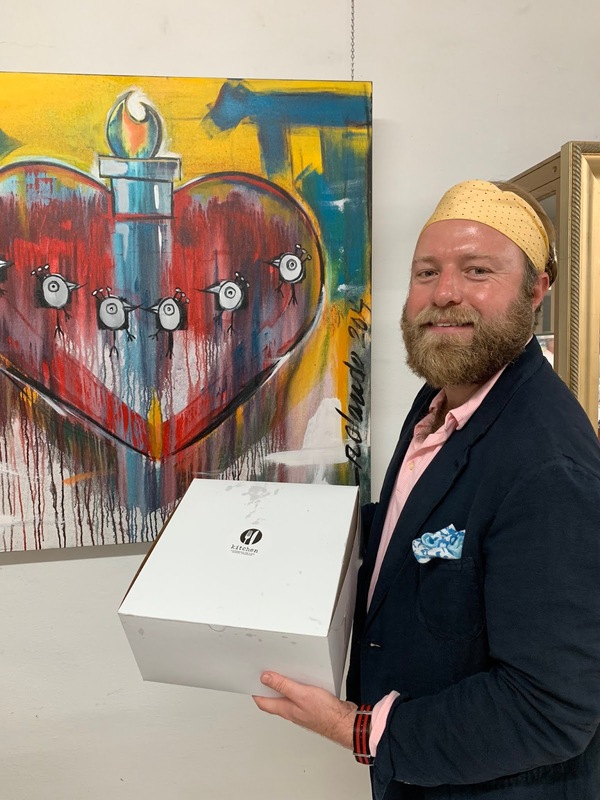 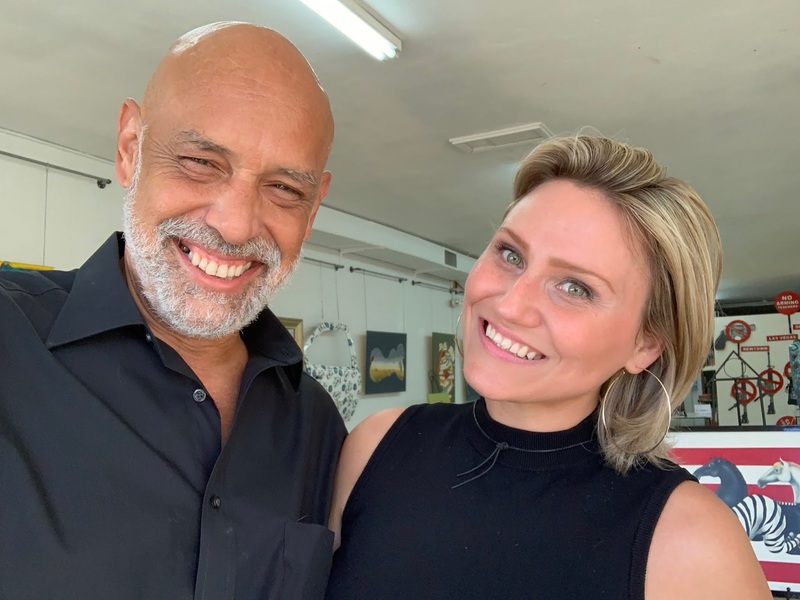 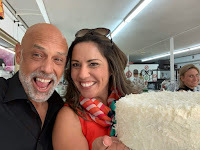 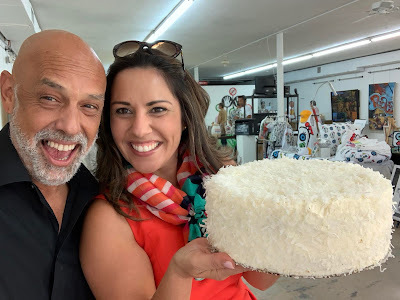 "As the host of Hola Palm Beach Talk Show on HOLA TV and the owner and curator I have much concern for the safety of my guests, my artists, and my patrons. 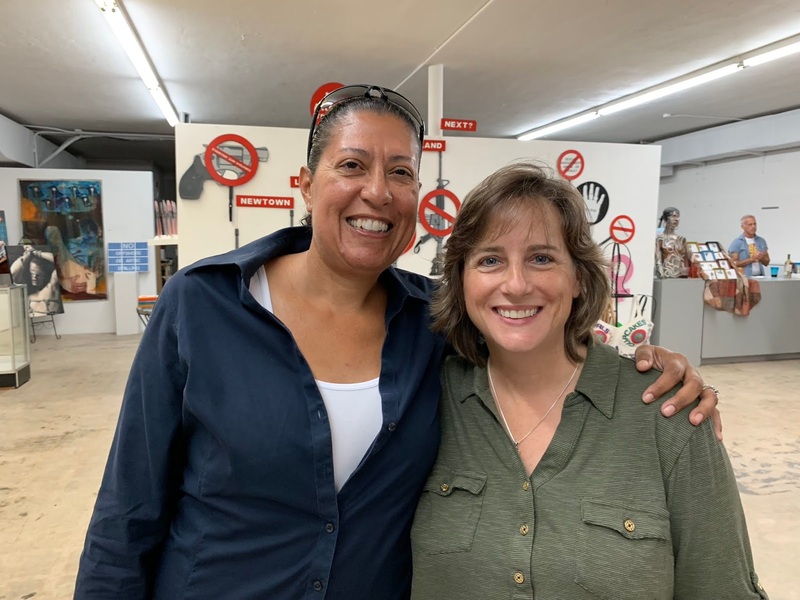 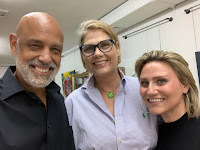 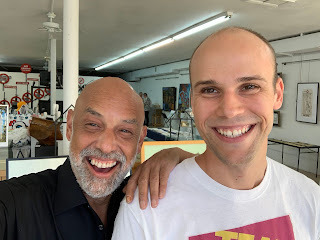 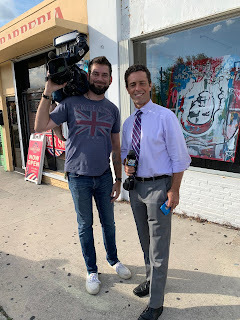 My program Activism and Art which featured Giannina Coppiano Dwin and Alessandra Mondolfi was aired this Sunday and I have decided not to postpone or to cancel the “We The People: Propaganda Arts Exhibition that has been planned to coincide with the Florida elections for months, as to do so would be reactionary and a sign of unwarranted fear." 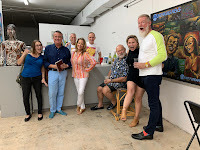 The Box Gallery has been historically and uniquely, a place where all views are presented in an educational, engaging and inspiring manner. 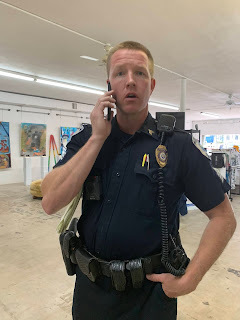 Our patrons and art collectors, including conservatives and liberals alike, would be taken aback if we scrummed to self censorship in any way. The exhibition is meant to engage the public in the current international debate in visual art regarding propaganda art and to showcase, as well as, document the work of artists that have in the last few years used their art as a means to tighten awareness of issues and concerns they have in the current political climate. 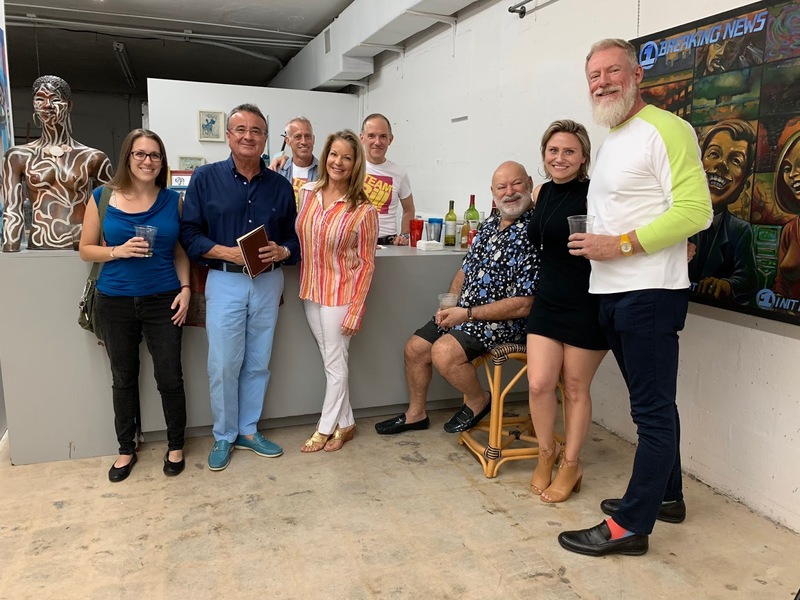 Jen Fisher, Rolando Ruocco,Sue Oaks, Wendy Carey, Ilene Adams, and Paul Guirguis. 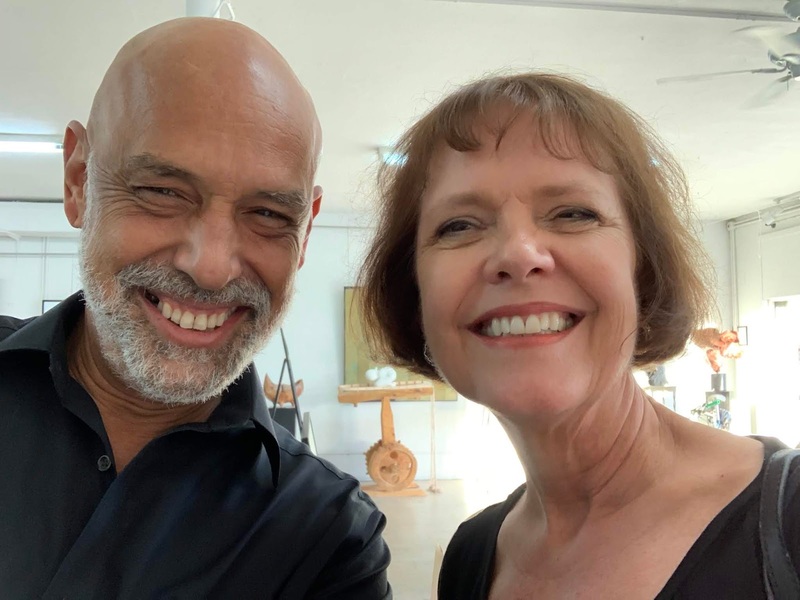 Live Music by Rod Dusinberre and Melody Stuart. 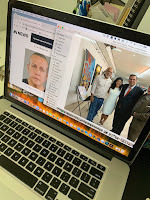 Election 2018: Know Your Ballot / Conozca sus boletas electoral. 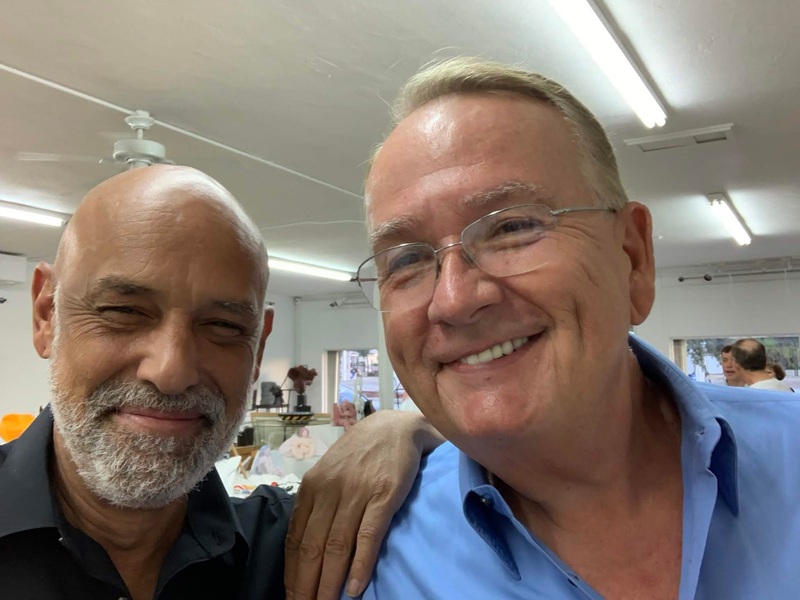 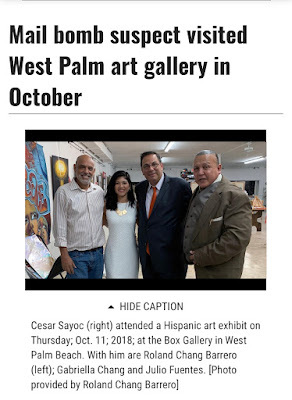 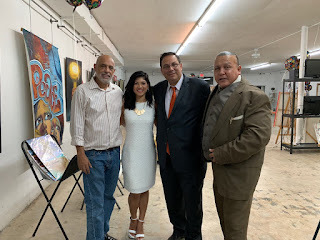 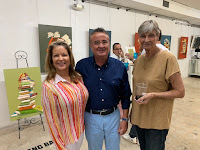 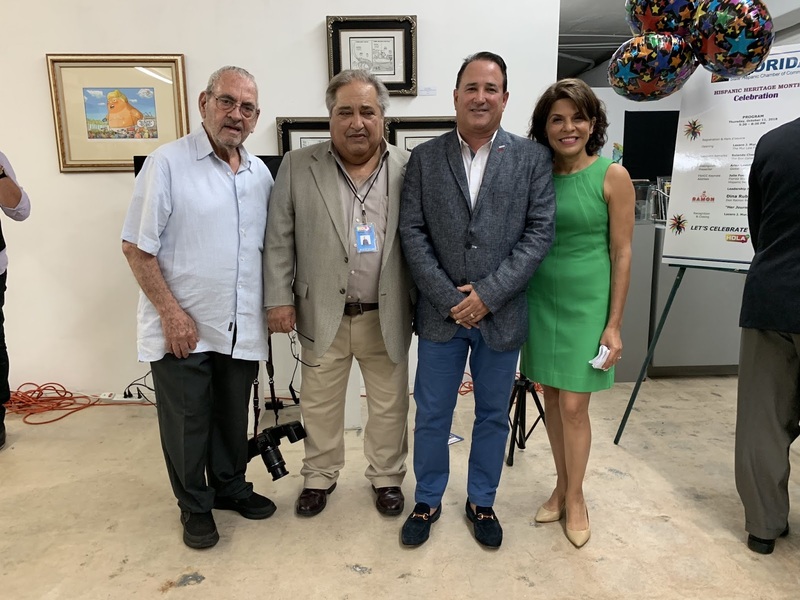 ABC NEWS: Cesar Sayoc visited WPB art gallery weeks before arrest. 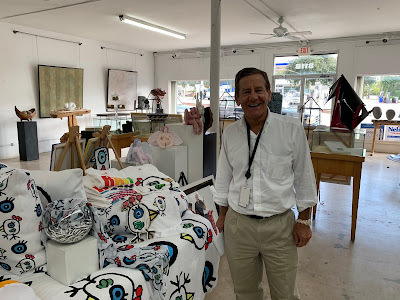 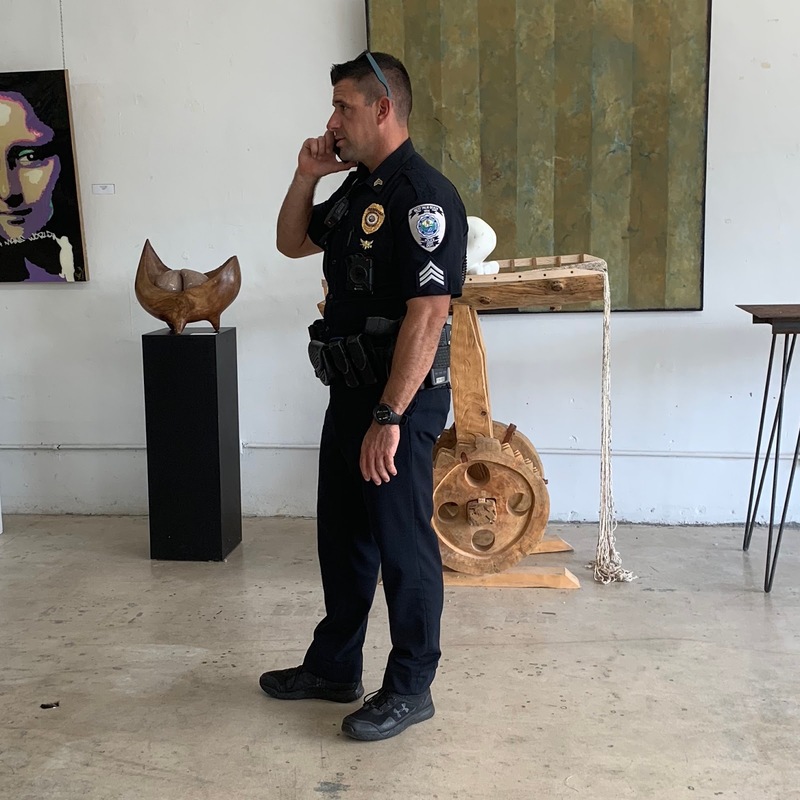 CBS NEWS: Gallery owner says package bomb suspect visited WPB art gallery. 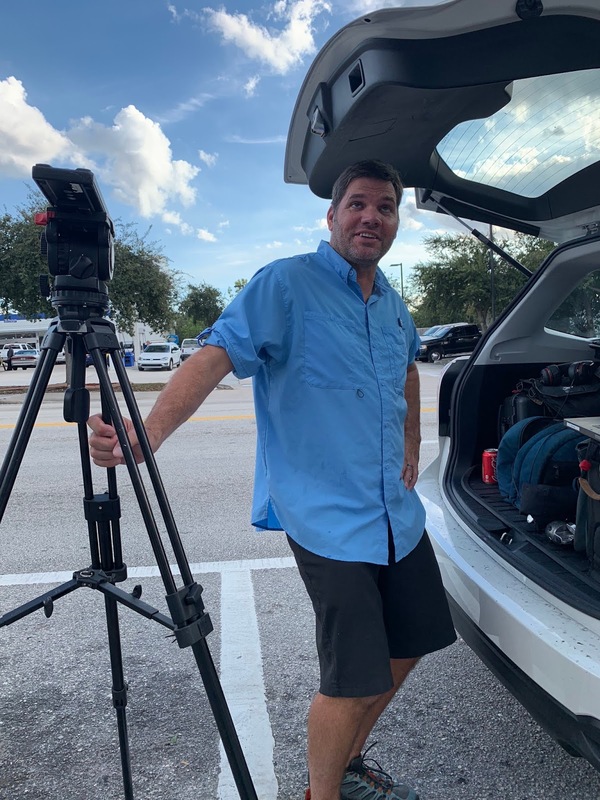 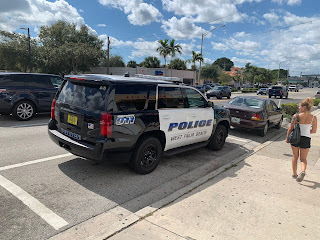 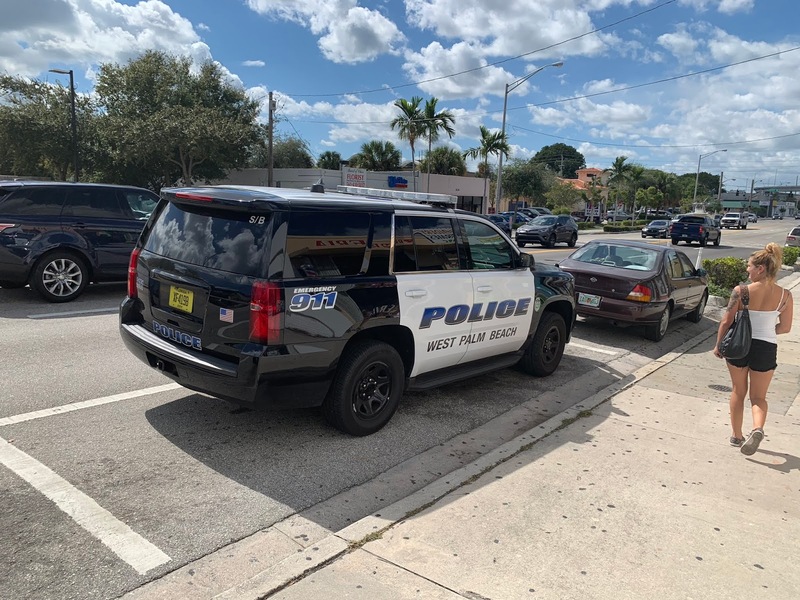 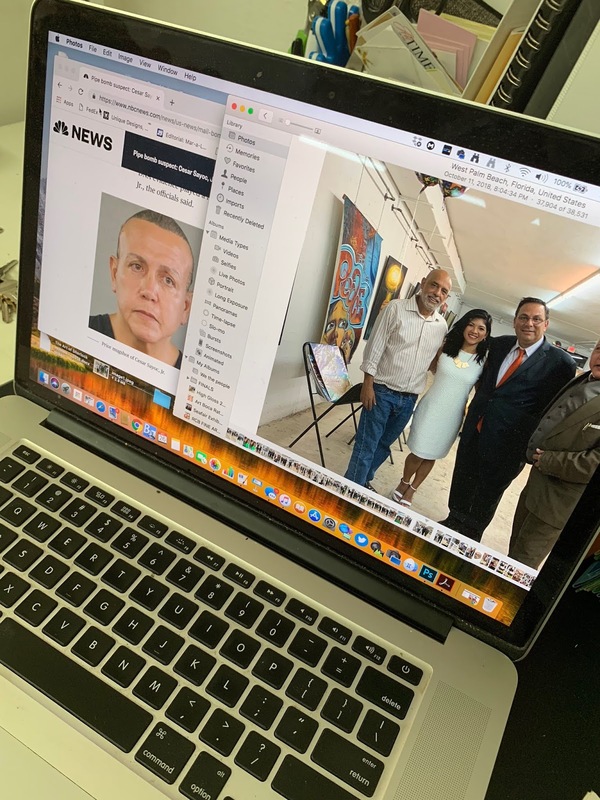 WEST PALM BEACH, Fla. (CBS12) — There’s a local connection to the story surrounding package bomb suspect Cesar Sayoc. 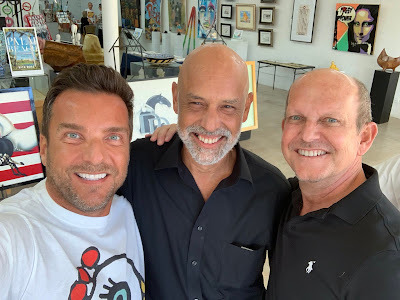 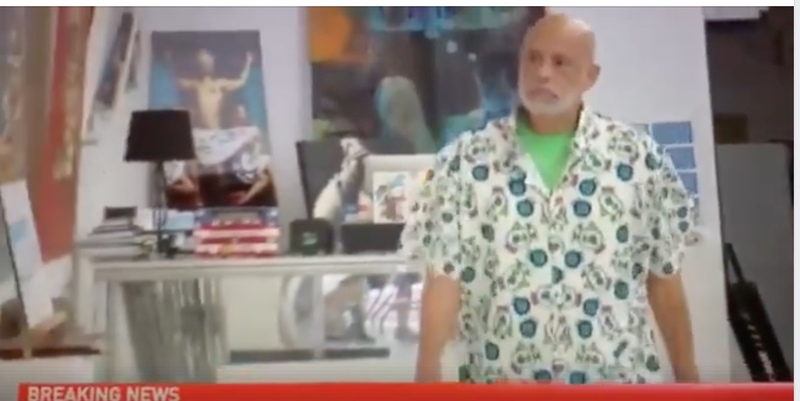 It turns out, according to a local art gallery owner, Sayoc paid a visit to his art gallery about two weeks ago. 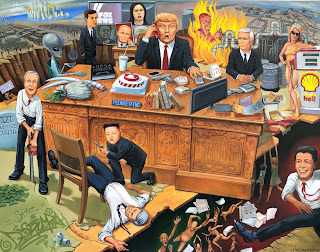 Activism and propaganda arts go hand in hand. 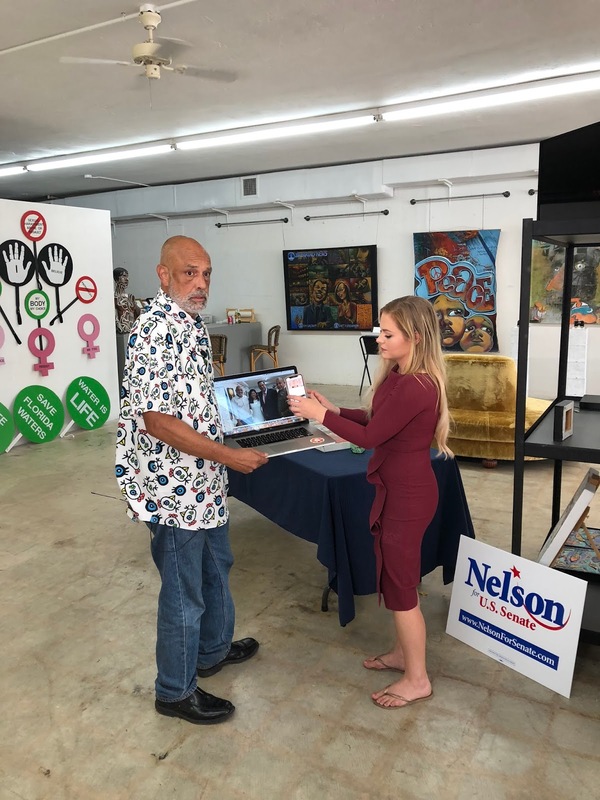 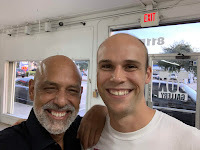 Banners, props, installation, paintings, photographs, and videos by 14 local and national artists have been collected and placed on display at The Box Gallery located at 811 Belvedere Road in West Palm Beach, Florida for the upcoming “We The People Exhibition,” which opens with a reception on Saturday November 3, 2018. 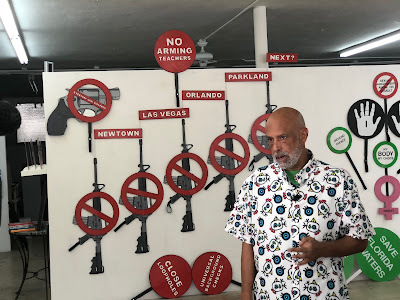 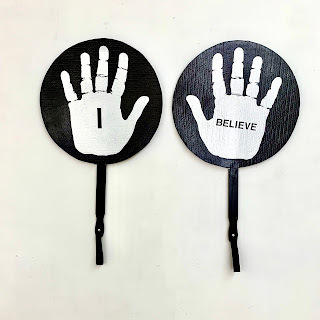 The exhibit which coincides with mid-term elections and will be open on election day showcases concerns about climate change, corruption, women’s rights, and heated concerns like gun-control and the me too movement. 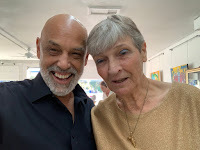 Alessandra Mondolfi, Ilene Adams, Rolando Chang Barrero, Jeanne Martin, Wendy Carey, Judy Leeson Polstra, Stacey Mandell, Stephen Lombardi, Roland Ruocco, Sue Oaks, Jen Fisher, Cassandra Nordenbrock, Carol Erenrich, and Paul Guiguis. 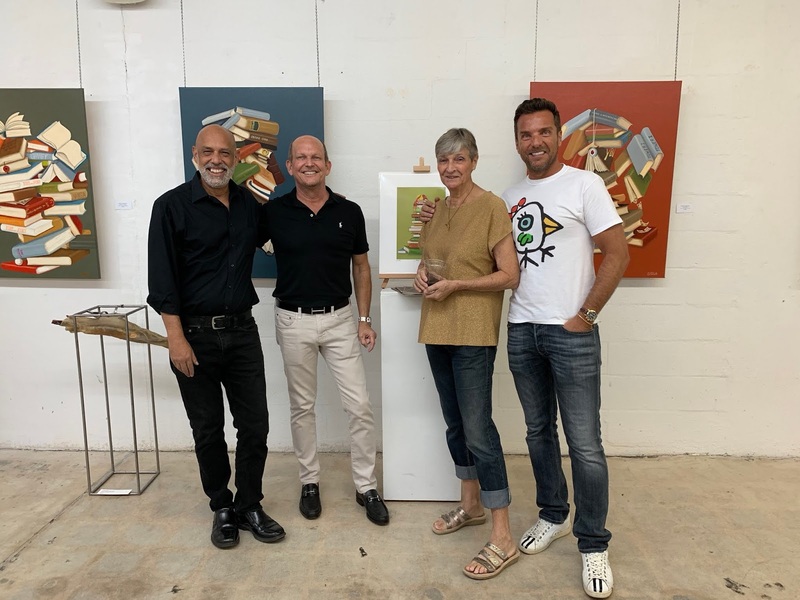 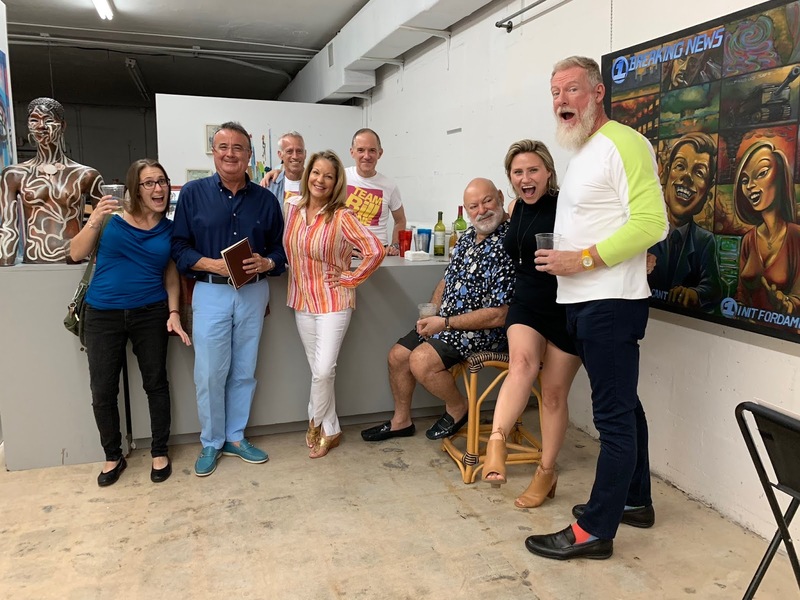 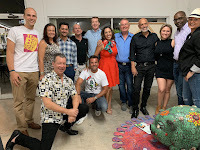 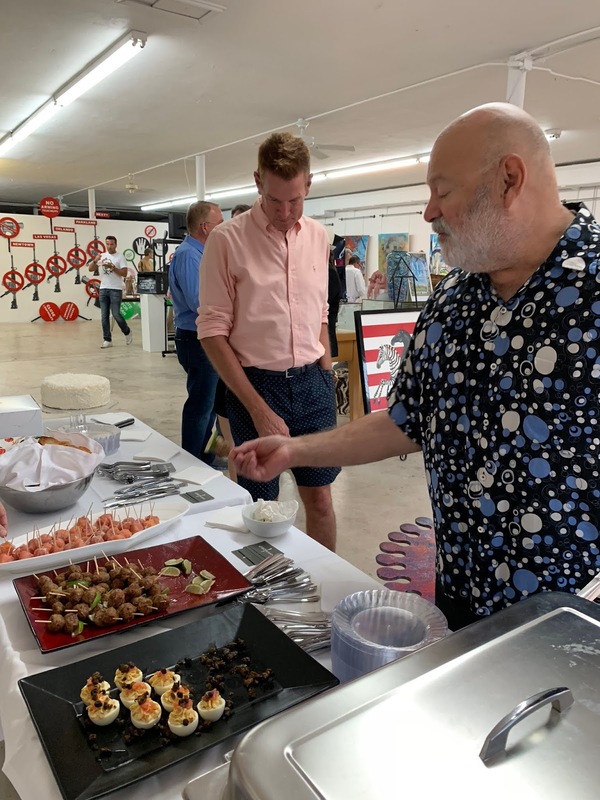 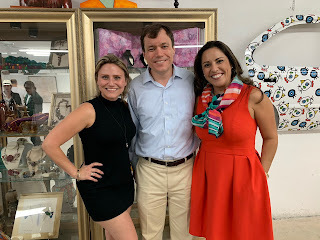 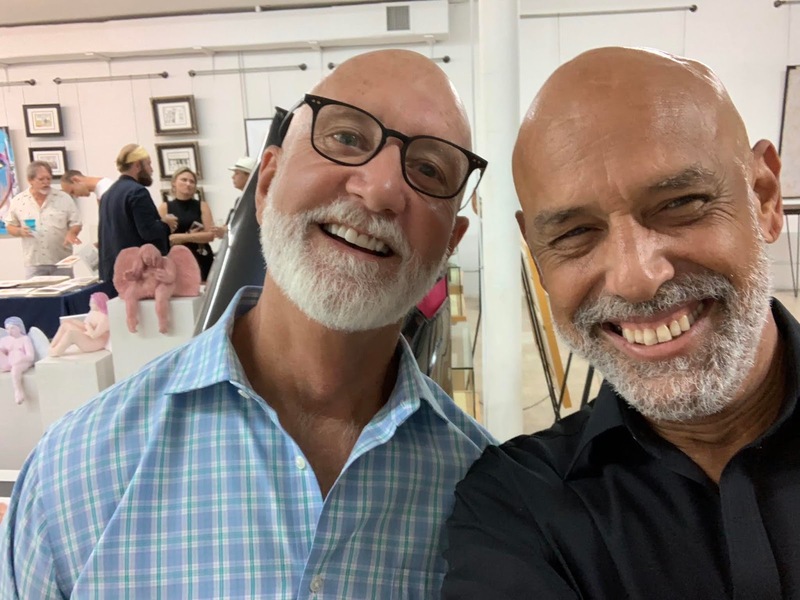 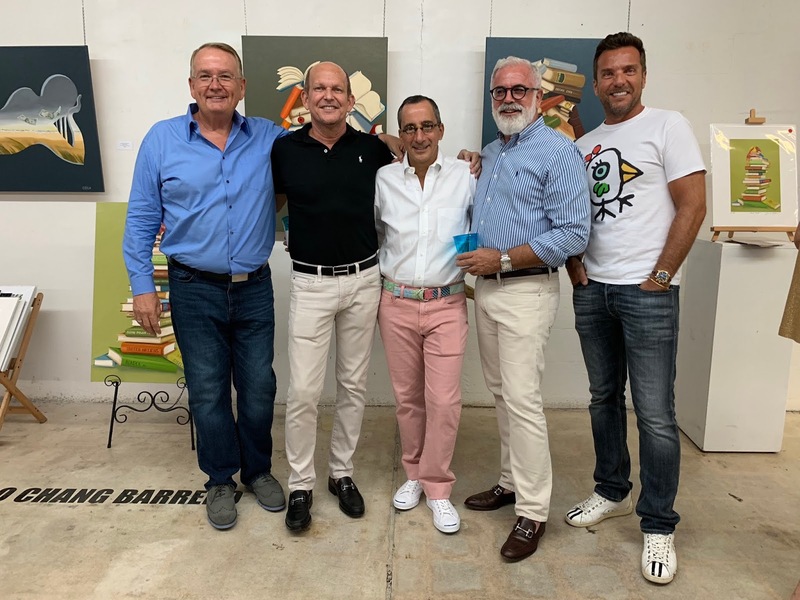 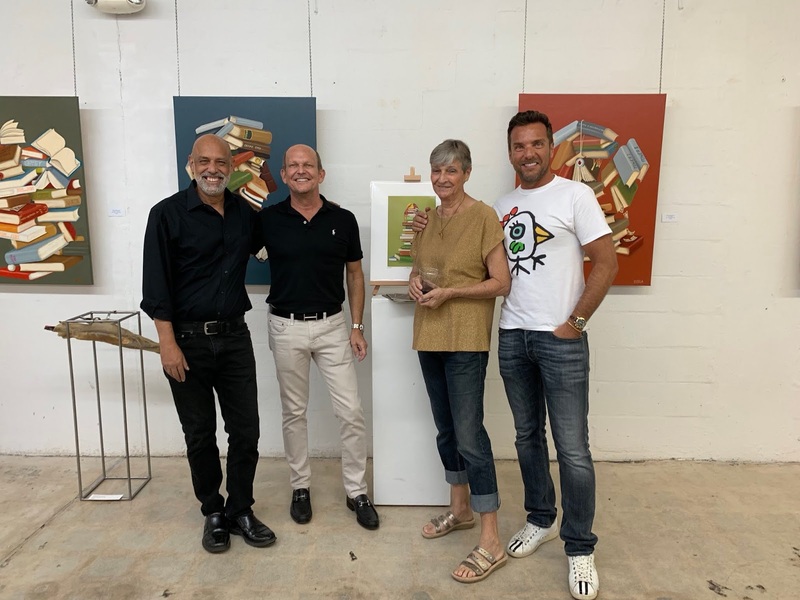 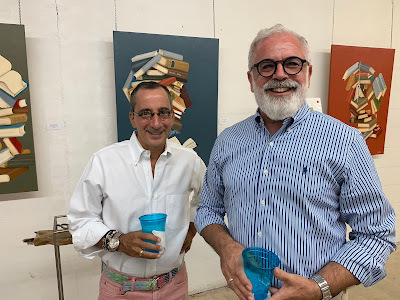 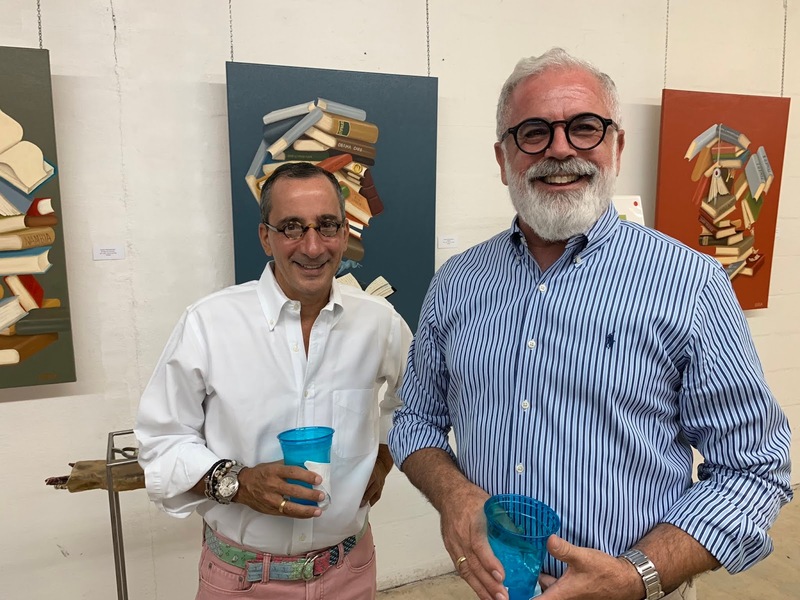 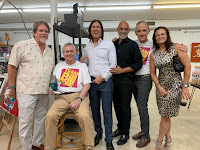 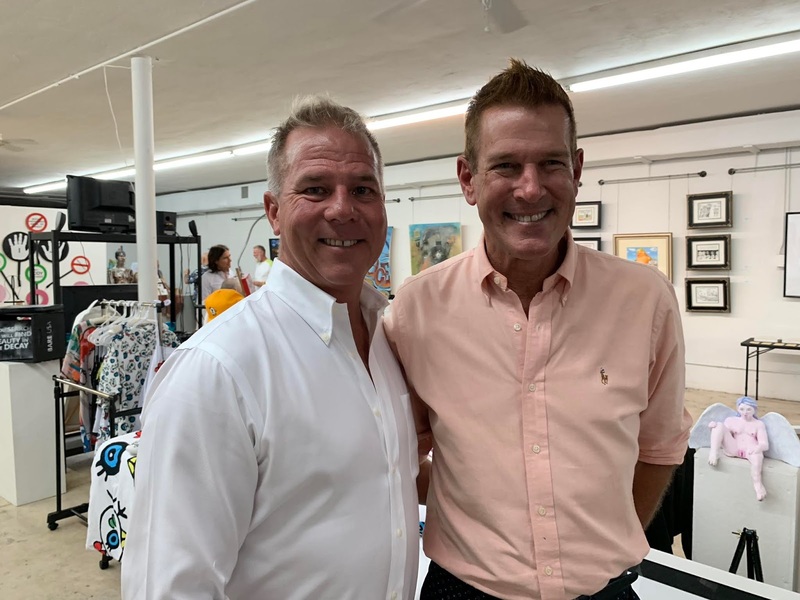 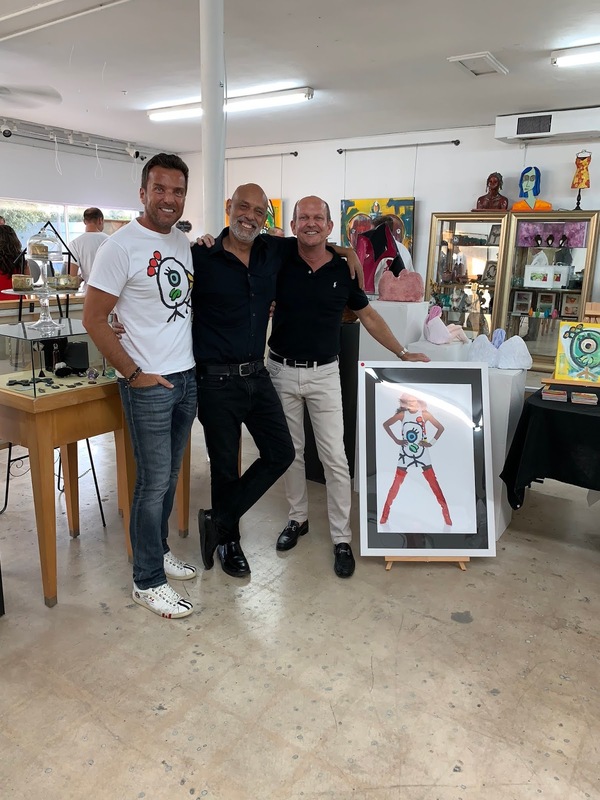 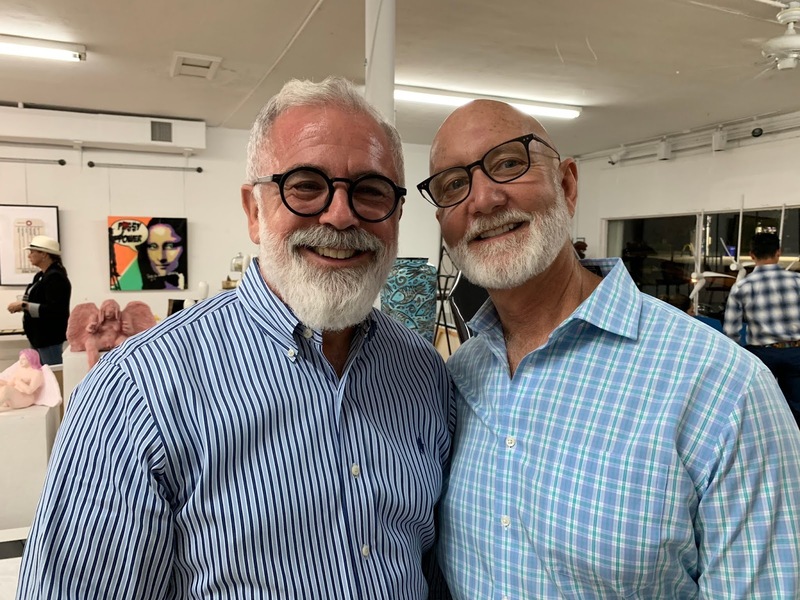 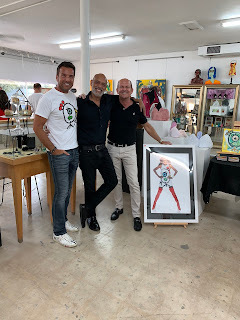 Fundraising fun in Palm Beach for very serious cause at The Box Gallery! 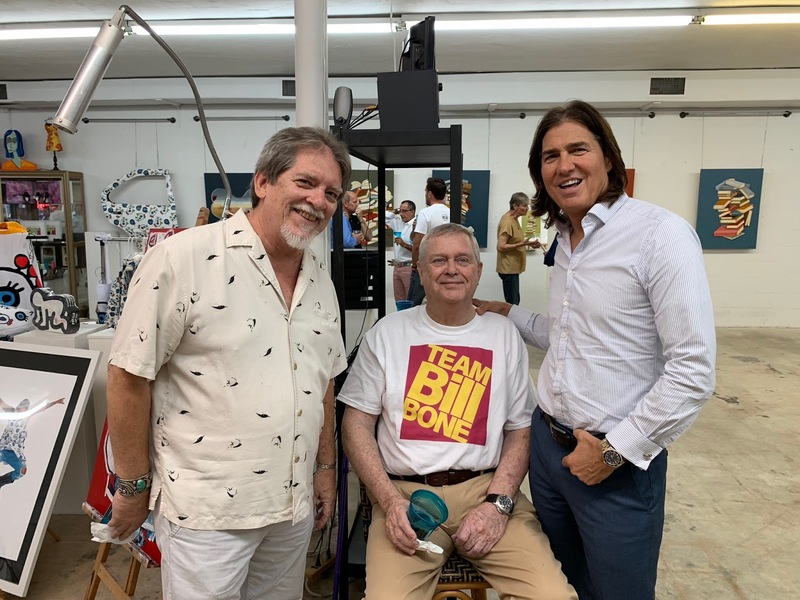 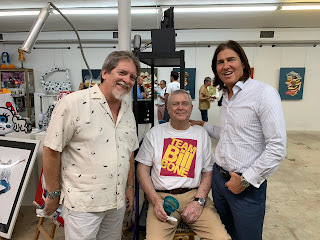 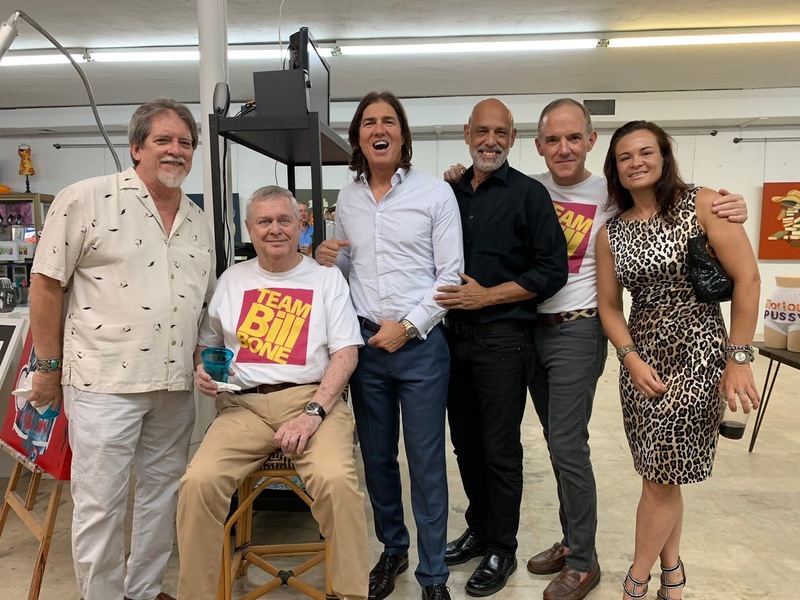 The Box Gallery last night to raise funds for Team Bill Bone. 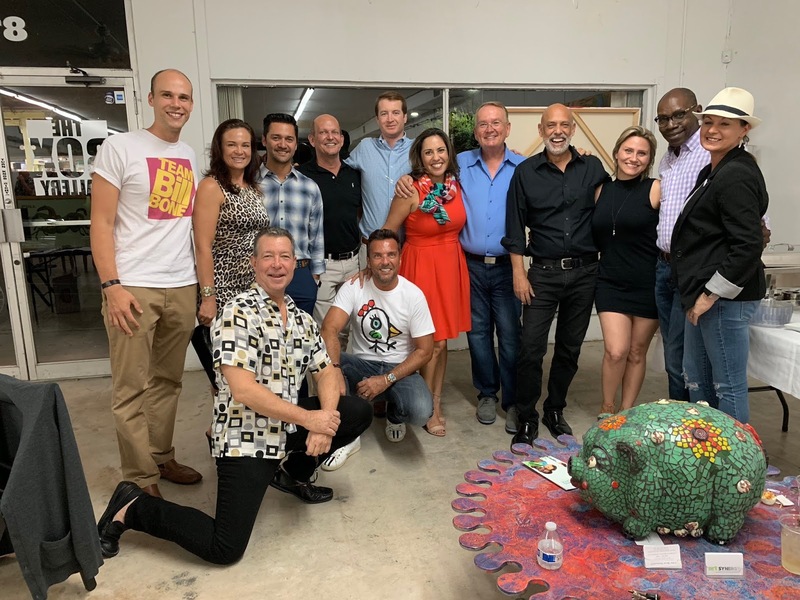 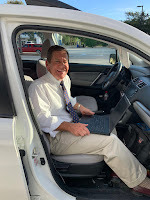 Now in it's 15th year The Smart Ride has been raising funds and awareness to support non-profit agencies and organizations, turning a dream into a reality to make a significant difference in the lives of those infected, affected and at risk for HIV/AIDS. The 2 Day Ride, 165-Mile Ride from Miami to Key West will take place on November 16th and 17th, 2018. In the past 14 years they have raised over $9.3 Million and 100% of every penny went back to the communities we all serve. 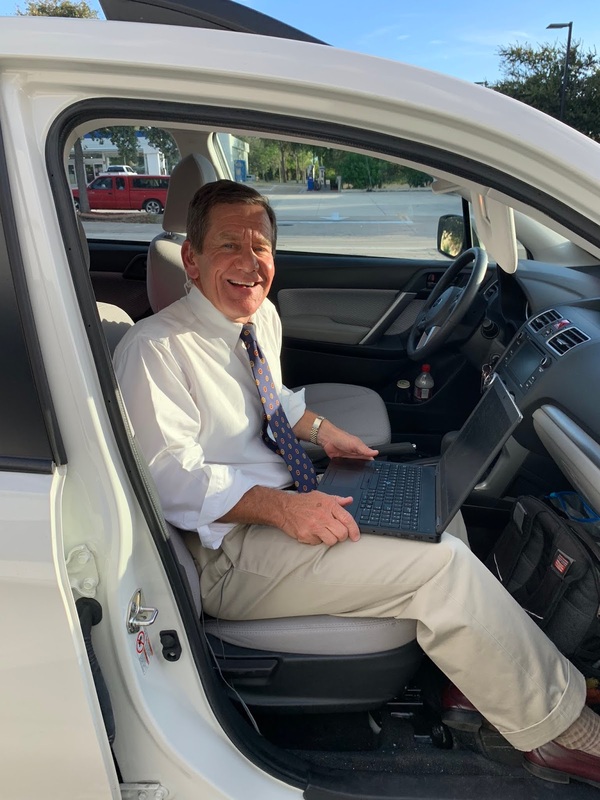 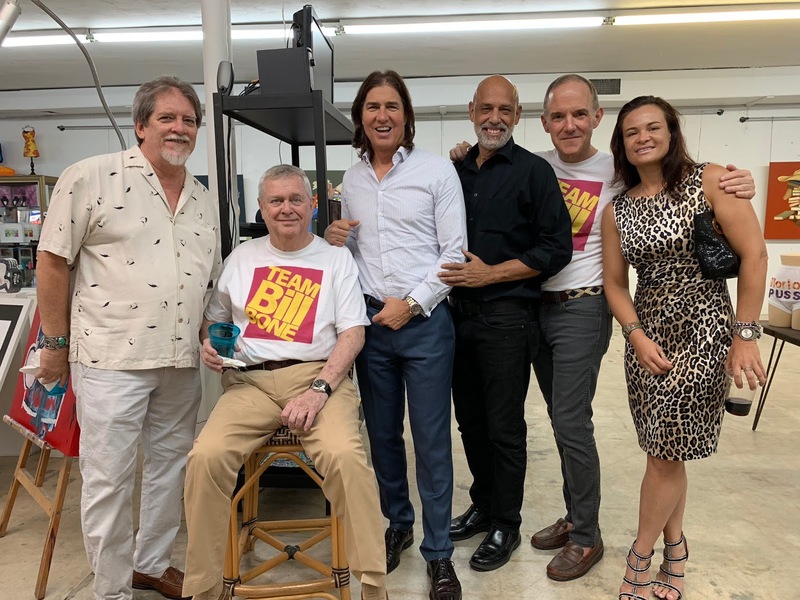 They have a goal of $1.5 Million raised this year alone, which will help tens of thousands of people get the dignity they deserve, the transportation to and from medical appointments, the mental and medical help they need.